This week’s Sunday Supper theme is Easy Holiday Recipes. I don’t know about you, but I have been overdoing it a little with the carbs and sweets. So as we approach the New Year, I am working on eating more healthfully. This clean salad is super easy but still tasty, featuring only three ingredients! It’s the perfect lighter fare to bring to a potluck. My regular grocery store doesn’t carry pomegranates, so when I spied this package of pomegranate arils at Trader Joe’s I was super excited. That made this salad even easier! 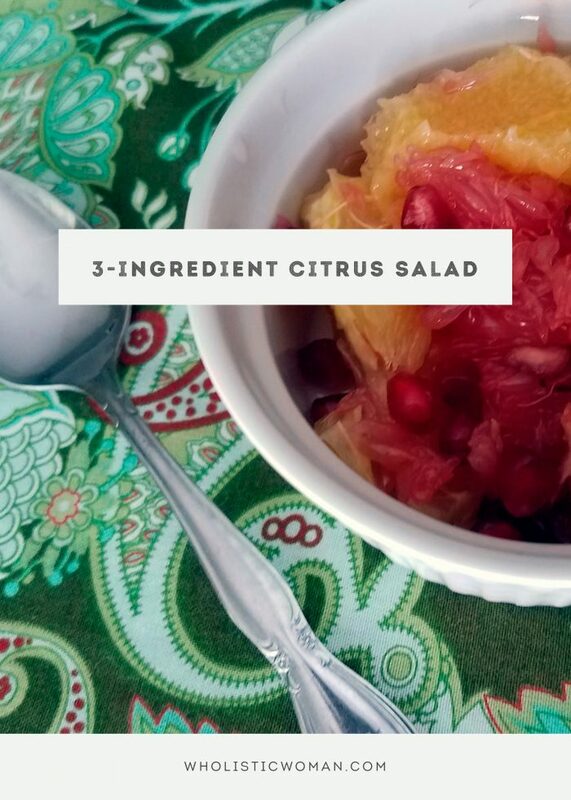 When you segment the fruit you’ll want to collect the juice as you go as that forms the “dressing.” You will definitely want to make sure you remove all the pith from the grapefruit for best flavor. I had never segmented a grapefruit before so this doesn’t look as professional as the other YouTube videos I found, but it still tastes great! Note: As you segment the fruit, place a bowl underneath to catch the juice. Incorporate into salad. 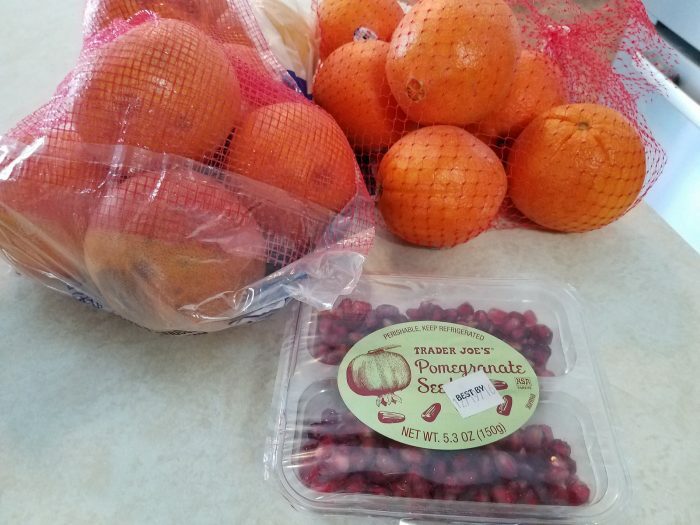 I am loving oranges, grapefruit, and pomegranate seeds right now. Combining them makes this totally irresistible. What a lovely brunch idea! This looks so bright and festive. So nice to have with such heavy holiday dishes. Citrus salad is so so good. I’ve had it at Mom’s so many times! I never make it at home, though. I should make some. We used to make this for brunch all the time- great time of year for citrus! I love how simple this is! Super refreshing! Love this quick recipe! Great flavor combo! what juicy and refreshing winter ingredients! I love a good refreshing citrus salad. This would be perfect for Christmas morning before all the feasting begins! Love those TJ’s POM seeds!